Beho Beho enjoys the privilege of one of the most magnificent panoramic views in the Selous Game Reserve, and is undoubtedly one of the best small luxury lodges in Africa. Gloriously located in the highlands, with the welcoming cool breeze from which the name derives, guests at Beho Beho enjoy the comforts of modern safari coupled with the wild and remote environment that the Selous is renowned for. Beho Beho is not only a luxurious camp but also a true safari refuge from which to explore on foot, by boat or by open safari cruiser, and to behold the splendours of one of the largest game reserves in the world. Selous Game Reserve is home to some of Africa’s largest big game populations as well as all the big cats and major predators. There is always something happening at Beho Beho, animals very often wander through camp day or night; elephant, buffalo, giraffe, wild dog and hyena to name just a few. The guiding at Beho Beho deserves a special mention; not only is it the most important part of the stay, but with the experience of some of the best guides in all of Africa, guests plan a personal safari programme to suit their requirements, from early morning tea to sundowner. Guided and guarded walking safaris are a speciality at Beho Beho and are tailored to guests needs. Starting early in the morning when the wildlife is most active, these can be arranged for between one to three hours. Beho Beho has a number of boats stationed at Lake Tagalala, a pleasant half an hour’s game drive from camp. The lake is surrounded by natural springs which attract an abundance of birdlife as well as hippos and crocodiles. After an exciting boating safari and delicious bush breakfast on the lakeside, a walk to the famous hot sulphur springs at Maji Moto and a therapeutic swim in the warm mineral waters can be incorporated into the visit. Beho Beho has a fleet of specially designed open-sided safari vehicles for game drives to more remote areas of the reserve and off-road driving is permitted, allowing further exploration of the varying biodiversity. 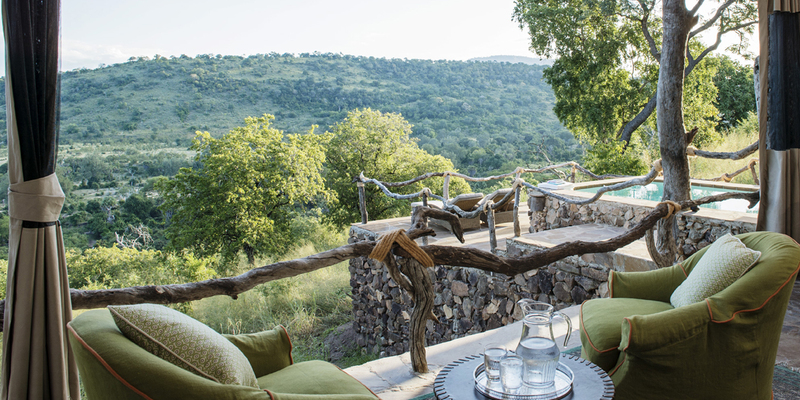 Still privately owned and immaculately run, Beho Beho represents the true essence of a luxury African safari. Guest accommodation consists of eight spacious open-fronted bandas built with local stone and palm leaf thatch, perched on the lower slopes of Namikwera Hill overlooking Kipalala valley. Each banda is designed to an incredibly high standard with individuality and flair, complete with kingsize beds and telescopes on the verandas, as well as an en-suite bathroom with hot and cold running water, flush toilets and outside showers. With no walls or windows at the front, the banda is completely open but can be secured at night with a heavy tented curtain if desired.